It was probably the end of an era where kids roamed the neighborhood from sun up to sun down. My neighborhood was a throwback to Mayberry. My mother would throw my brother and I out bright and early. The garden hose was our water fountain, but our neighborhood was better than any amusement park. Whiffle ball, football, basketball, riding the dirt trails on our bikes, walkie-talkies, forts, tree houses, bream fishing in ponds and ten cent Cokes from the greenhouse so cold they were almost a Slurpee. Many of my neighborhood friends are still my friends today. Not the ones you see in your day to day life, but the ones you are bonded to forever. Friends who you could call today at 3 am to bail you out of jail, even though you only talk a handful of times a year and live two hundred miles apart. Yesterday I was honored to be called on by one of these friends, Michael Zellner, to be a pallbearer at his father’s funeral. Stanley Zellner was a saint in every sense of the word. The shenanigans pulled in the Zellner home were legendary. Michael was inducted into the TP hall of fame. Many a nights he’d sneak out his window and roll houses. His handy work looked like Christmas morning to everyone but to his target. Yes. Even our home made his hit list. Remind me to tell you the story of how my dad chased Michael and his friends down a dark road at break neck speeds in his car, wearing nothing but his underwear and a t-shirt. I’m sure Stanley knew by the size of his toilet paper bill what Michael was up to, but he was too much of a teddy bear to do much more than let out an occasional growl. During all of those years growing up with Michael and his sister Lisa, Stanley was nothing but a great, kind soul. I think my friendship with Michael truly bonded in college over a mutual love for business. 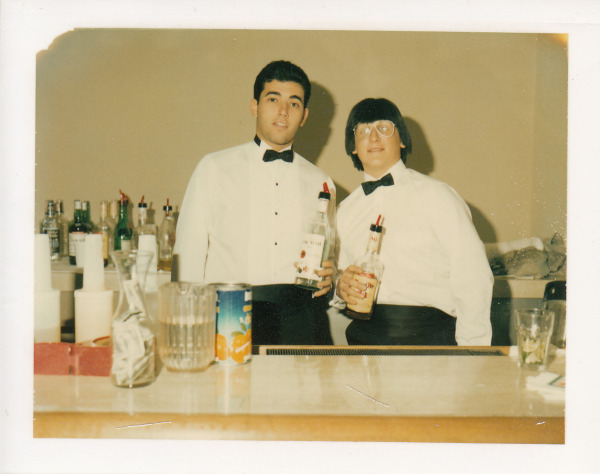 Michael was one of the first people hired to bartend for Gentleman Bartenders, a college business my buddy Mark and I started. (I'm the one on the left). He helped me run my Memphis in May parking lot and was the only friend to go in with me to sell hot dogs at that lot. I lost my shirt, but I learned a valuable lesson; sell where people are buying. I vividly remember one Saturday at that lot Michael and I were sitting waiting for the crowds of cars to come. Michael pulled out a copy of the classifieds and asked me about an opportunity to sell knives for Cutco. They were guaranteeing $10 an hour. His first six months or so he floundered, but then he found his groove, his calling if you will. Back in the mid 80’s he was clearing a thousand dollars a week for twenty hours work. This boy could sell. What he learned at Cutco has served him well throughout his life. He believed in the product 1000%. They gave him a framework to sell anything, and Michael would be my first choice for a salesman. But I can’t afford him. (Side Note: Cutco knives are incredible. Not only should you buy a set, but get your kid to sell them. Learning how to sell is more valuable to their career than a college degree or the money they’ll make). Getting passionate about knives is difficult for a lot of people. Michael evangelized about those knives like a Southern preacher. And Cutco knives are incredible. I’ve owned a set since 1987, and they’re the best knives. Above all else, you must have passion to sell your catering. If you don’t believe your food and service level are the best, what makes you think anyone else will. Throughout my life, my “passionate” business pursuits have done the best. Your customers and prospects will know instantly by the sound of your voice and the twinkle in your eye, whether they should work with you. Obviously, it takes more than passion to sell catering. But without passion, you’re dead in the water. You want an easy way to tell whether your passion level is high enough? Record yourself talking to a catering client or prospect. Would you buy catering from you? 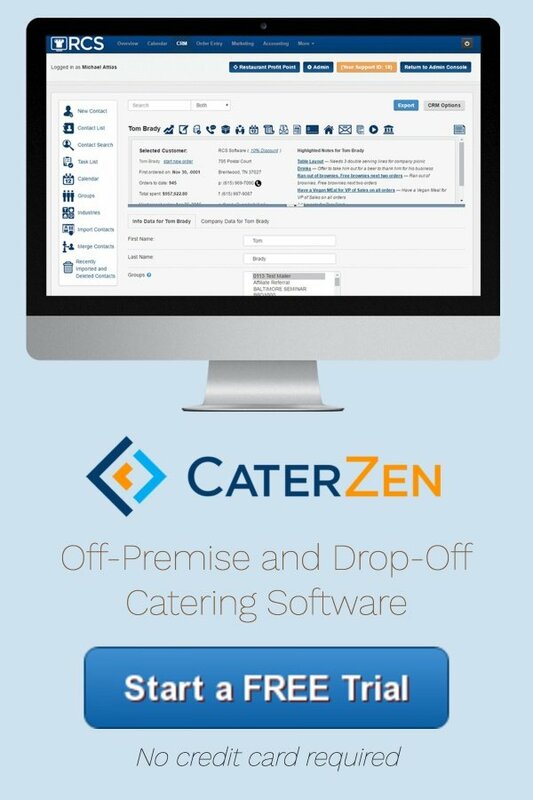 BTW, if you need all of your incoming catering calls recorded, our software now has that capability. 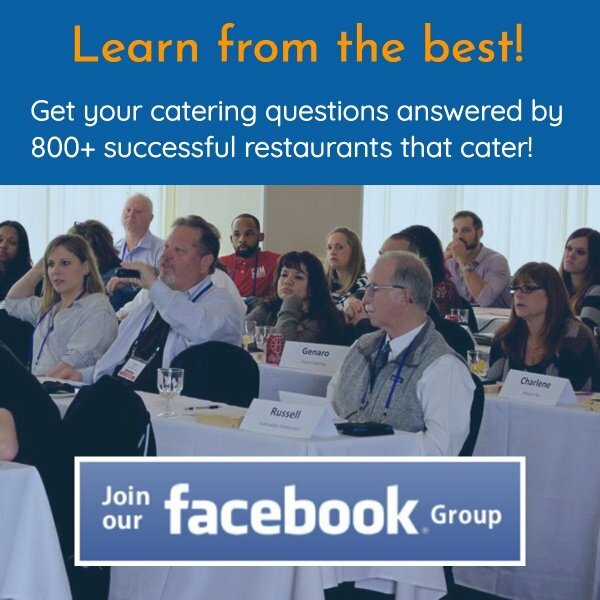 It’s an incredibly valuable tool for assessing and coaching your catering sales staff.